Happy 4th of July to all of you out there! We hope you are enjoying the day off on our country's birthday! It's time to relax and watch some TV on this holiday! We are known for letting you know what marathons are airing on TV on holidays and we will do the same for this 4th of July as well! This year due to the passing of TV legend Andy Griffith, we have many Andy Griffith tributes marathons today, along with other marathons of course, and we will tell you all about all of them. So, bring out your beach towel, BBQ some hot dogs, and stay indoors and watch some television! Among the marathons we have already mentioned include a Gidget Independence Day marathon on Antenna TV starting at 11am with every episode airing today. They will also air Gidget movies beginning at 5am. 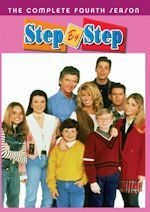 We also mentioned a week of marathons on GMC leading into the premiere of 7th Heaven on Saturday, as today's marathon on GMC is a 4th of July Candid Camera marathon from 10am-11pm. Locally, we have an I Love Lucy marathon in New York City on WLNY-TV from 9am-9pm. Lucccccccccccy! CMT has scrapped the Married...with Children marathon we had mentioned for today. So sorry about that as Al Bundy is not going to "rock" on this 4th of July. Other marathons of note include a The Game marathon on BET from 8am-12am and a Good Times marathon in primetime on TV One from 8pm-2am. There is also a Saved by the Bell: The College Years scheduled in the regular time block for the series on MTVN from 11am-2pm. 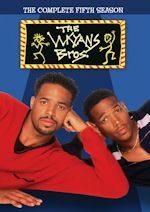 SOAPnet has a Brothers & Sisters marathon from 10am-7pm. Of course it wouldn't be the 4th of July without a Twilight Zone marathon on Syfy from 8am-5am. TNT starts the day with a marathon of The Mentalist from 10am-5pm followed by a marathon of the new Dallas from 5-10pm, which includes a new episode at 9pm. Lifetime will turn the day over to a Wife Swap marathon from 11am-10pm. A&E has the usual Criminal Minds marathon from 9am-6pm, while ABC Family will bring out the laughs with an America's Funniest Home Videos marathon from 11am-11pm. BBC America goes into space with Star Trek: The Next Generation marathon from 8am-5am, while Science Channel has a Firefly marathon from 8am-3am. 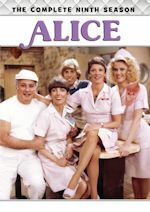 More marathons include Cloo's 24-hour House marathon, Hallmark Movie Channel's 24-hour Matlock marathon (scheduled before the passing of Andy Griffith), and USA Network's NCIS marathon from 10am-11pm. Please see below for all the tributes to Andy Griffith today which includes TV Land, WGN America and MeTV, along with a nice local marathon in Chicago on MeToo. So PLEASE read below in our tribute to him. Firweworks in primetime are on NBC (Macy's 4th of July Fireworks Spectacular) at 9pm (with an encore at 10pm) and CBS (The Boston Pops Fireworks Spectacular) at 10pm. But my pick of the night for fireworks is on PBS with A Capitol Fourth live from Washington D.C. at 8pm hosted by Tom Bergeron. Legendary actor Andy Griffith, best known to television audiences for his long-running roles as Sheriff Andy Taylor on The Andy Griffith Show and criminal defense attorney Ben Matlock on Matlock, has died. He died of an unspecified illness Tuesday morning (July 3) at his home on Roanoke Island in Dare County, NC. Mr. Griffith was 86. Griffith's early career was as a comedian and monologist. His long story, What It Was, Was Football, was released a single in 1953. It reached number nine on the charts in 1954 and became one of the biggest selling comedy records of all time. In March 1955, he made his first appearance on television in an adaptation of No Time for Sergeants on The United States Steel Hour. It was later expanded into a play on Broadway. Griffith received a Tony Award nomination in 1956 for "Distinguished Supporting or Featured Dramatic Actor" for his role as Will Stockdale. He received his second Tony Award nomination in 1960 for Destry Rides Again. Film roles would follow in A Face in the Crowd (1957), No Time for Sergeants (1958), and Onionhead (1958). 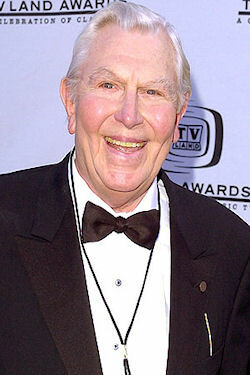 Griffith started his own production company (Andy Griffith Enterprises) in 1972. He starred in some short-lived television shows such as Headmaster, The New Andy Griffith Show (1971 sitcom), Adams of Eagle Lake, Salvage 1, and The Yeagers. Some of his guest appearances included Mod Squad, Hawaii Five-O, The Doris Day Show, Here's Lucy, The Bionic Woman, Fantasy Island, Hotel, and The Love Boat. During the 1970s and early 1980s, he appeared in many television movies such as The Strangers in 7A, Go Ask Alice, Pray for the Wildcats, Winter Kill, Savages, Street Killing, Murder in Texas, Murder in Coweta County, Fatal Witness, and Crime of Innocence. Griffith received his only Emmy nomination for his role as the father of a murder victim in Murder in Texas. 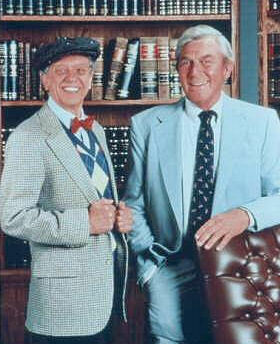 In 1986, he landed the role of criminal defense attorney Benjamin Leighton "Ben" Matlock on the legal drama Matlock. 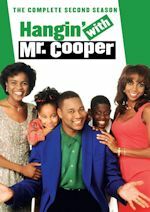 The show ran for 9 successful seasons and 195 episodes from 1986-1992 on NBC and 1992-1995 on ABC. Don Knotts was among the Mayberry alumni to appear on the show. In 1995, he played the dangerous and mysterious grandfather in the memorable TV movie Gramps, which co-starred John Ritter. Some of his later roles included guest appearances on Diagnosis Murder, Family Law, and Dawson's Creek. His final role was in the 2009 film Play the Game. The Archive of American Television conducted an extensive interview with him on May 5, 1998. Griffith's survivors include his wife, Cindi Knight, and a daughter, Dixie. Ron Howard, his Andy Griffith Show co-star and friend, had this to say on Twitter: "His pursuit of excellence and the joy he took in creating served generations & shaped my life I'm forever grateful RIP Andy." He was a true pioneer of television and entertainment icon. We thank him for bringing us many laughs and quality hours of entertainment during his lengthy career. He was so talented and versatile. Mr. Griffith will be deeply missed. Share your memories on our Andy Griffith Show message board. View photos in our photo galleries. See below for a list of TV marathons and tributes for Andy Griffith today and beyond. 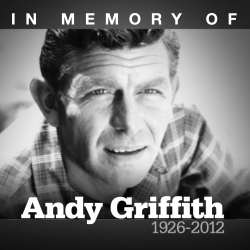 MeTV will air a special tribute to the late Andy Griffith on Wednesday, July 4, from 12 noon-3pm ET with select episodes of Hawaii Five-O, The Mod Squad, Gomer Pyle, U.S.M.C. and Make Room For Daddy, all of which Andy Griffith guest starred in. 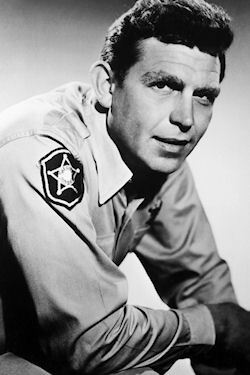 12p - Hawaii Five-O "I'm A Family Crook-Don't Shoot"
1pm - Mod Squad "Big George"
2pm - Gomer Pyle "Opie Joins The Marines"
2:30pm - Make Room For Daddy "Danny Meets Andy Griffith"
TV Land will honor the life and work of beloved actor Andy Griffith, who passed away at the age of 86, with blocks of programming highlighting his most treasured work, The Andy Griffith Show. On Wednesday, July 4 from 8am-1pm ET/PT and Saturday and Sunday, July 7 and 8 from 11am to 8pm ET/PT, TV Land will air some of the most memorable episodes in marathons of The Andy Griffith Show. The TV Land Facebook page (www.facebook.com/tvland) will also pay tribute to Andy, celebrating some of his best TV moments. The Andy Griffith Show airs regularly on MeToo in Chicago weekdays at 12 noon and 12:30pm CT.
8 p.m. – A Face in the Crowd (1957) – with Patricia Neal, Anthony Franciosa, Walter Matthau and Lee Remick. Directed by Elia Kazan. 10:15 p.m. – No Time for Sergeants (1958) – with Myron McCormick, Nick Adams, Murray Hamilton and Don Knotts. Directed by Mervyn LeRoy. 12:30 a.m. – Hearts of the West (1975) – with Jeff Bridges, Donald Pleasance, Blythe Danner, Alan Arkin, Richard B. Shull, Herb Edelman, Alex Rocco and Marie Windsor. Directed by Howard Zieff. 2:15 a.m. – Onionhead (1958) – with Felicia Farr, Walter Matthau, Erin O'Brien, Joe Mantell, Ray Danton, James Gregory and Joey Bishop. Directed by Norman Taurog.